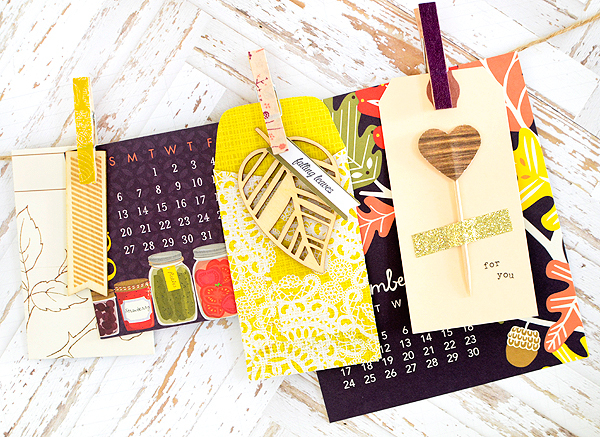 Oh, boy, we're only 2 Fridays away from Black Friday--YIKES!! 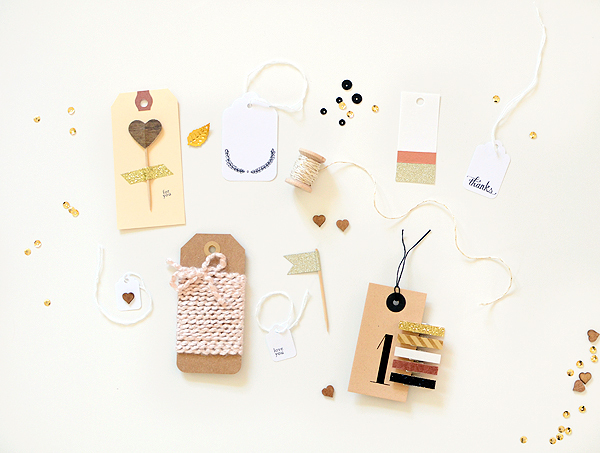 With that in mind, I've FINALLY got an Etsy update for you! And how about a pre-Black Friday sale, too??? Sound good? 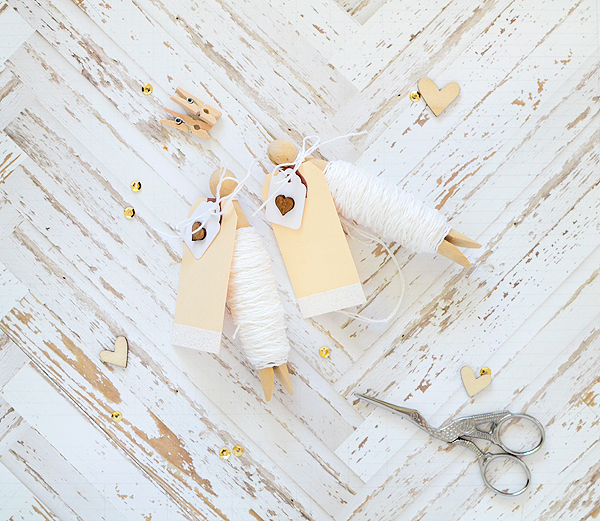 Hop over to my Etsy shop, look around, favorite a few things (and the shop, too, while you're at it :), and then use coupon code BLOG20 to save 20% off any or all of those items! Yup, 20% off of your entire purchase. I'm feeling generous so I'll probably include one or two extras with your order, too. 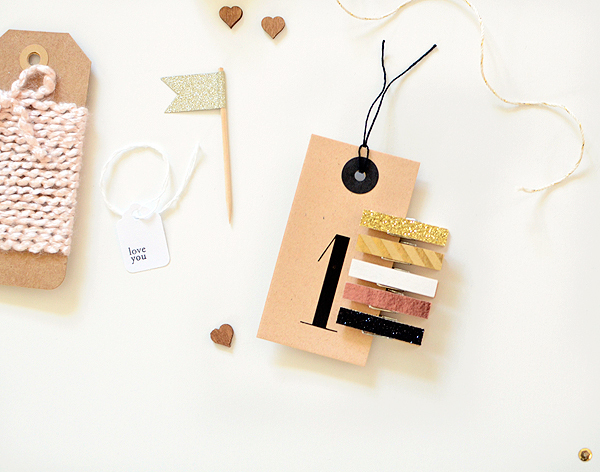 Rose gold is my favorite color right now and I especially love it paired with dark wood so I designed a special mini kit just to celebrate my love for the two. 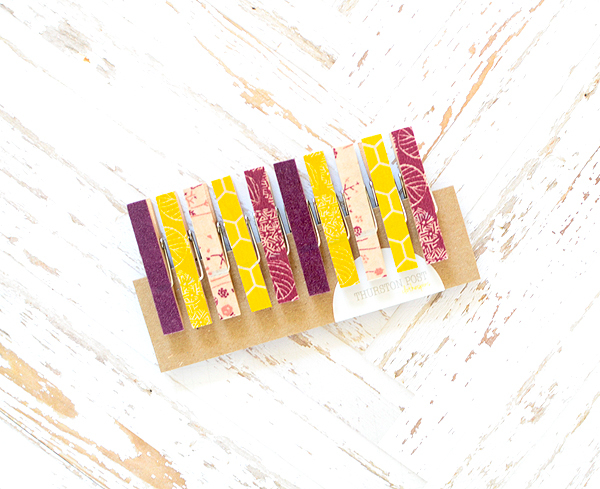 In case you haven't heard me say it before, those will be my Christmas gift wrap colors this year. 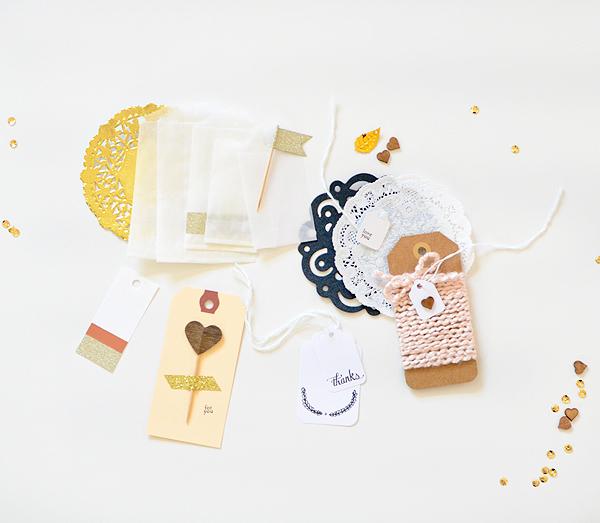 The kit comes with some pretty tags, specialty doilies, a really lovely set of mini clothespins, and some gold shimmer twine (more on that below). A few of the supplies I used to make this kit are a bit pricey and hard to find so the kit is limited edition and won't be around for long. Get it while you can! 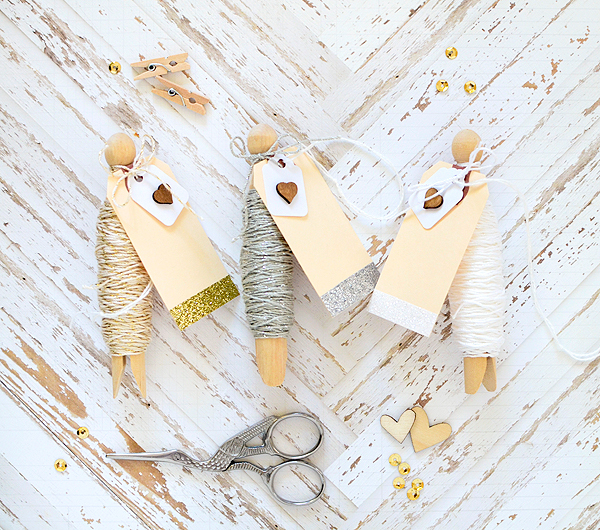 Next up are tiny tins of gold and silver glitter bitty clothespins. 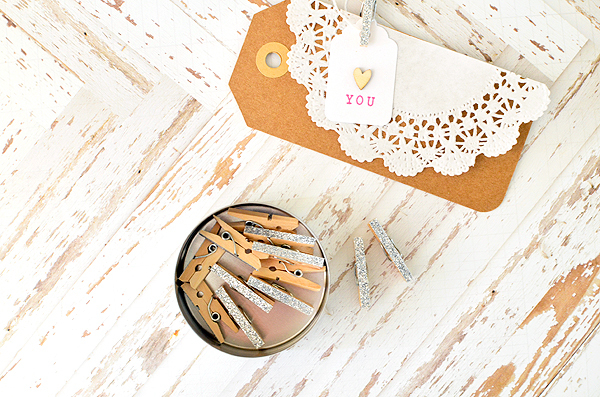 You get 12 1" clips in each cute little tin--perfect for keeping or sharing. 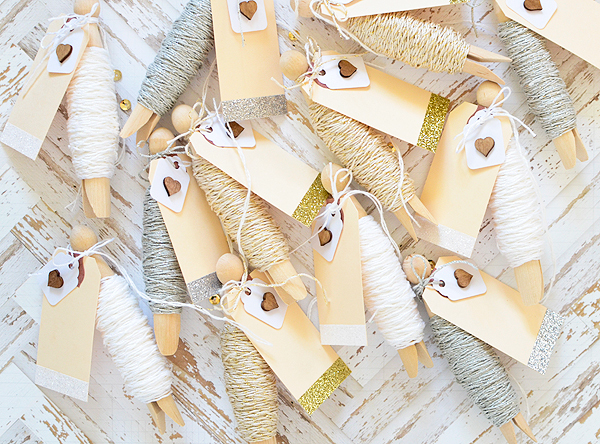 If you like shimmery things--it's pretty obvious that I do--then you will LOVE this shimmer twine! ...or a trio of all three colors. 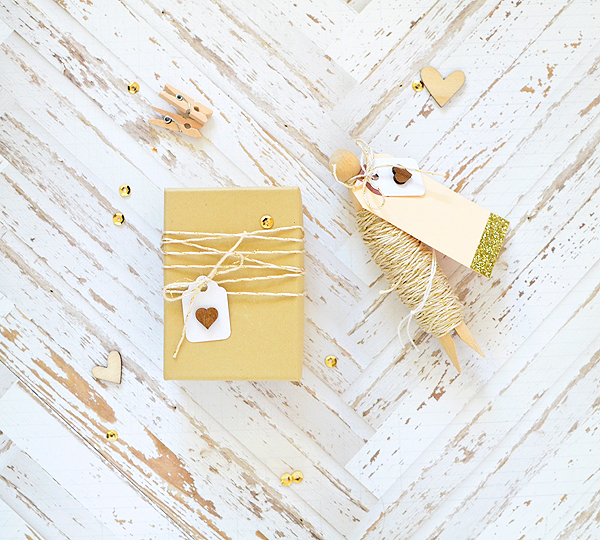 I've started including it in many of my gift wrap kits because it's so dreamy to use! 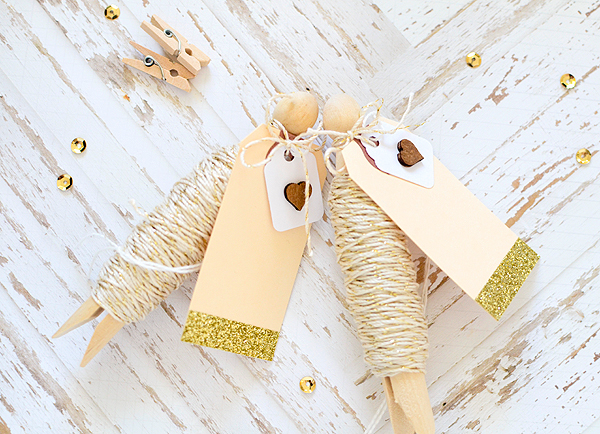 Even though there's a Christmas buzz in the air, it is still fall for several more weeks so how about this colorful set of autumn-inspired clothespins? 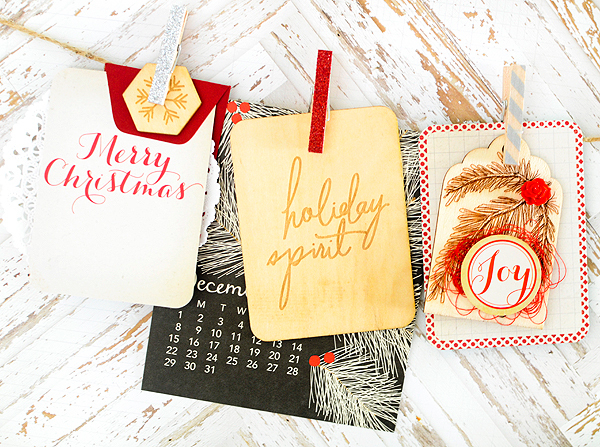 I will have a holiday Etsy update coming up next week or the week after. 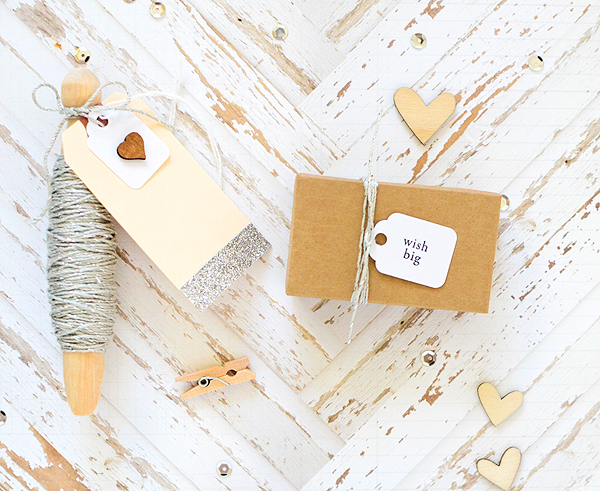 I'm trying to wrap up making all my festive items this month so that people can get them ordered and delivered in plenty of time for gift-wrapping and giving. 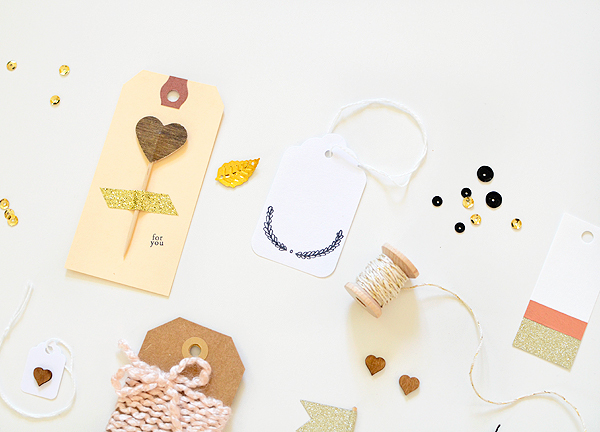 I'm also currently taking custom requests so if you've got ideas, send me an email here or conversation on Etsy. 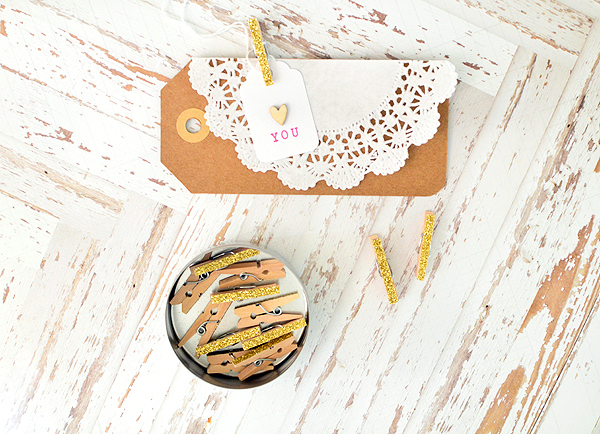 Looking for unique, homespun tags to pretty up your packages? 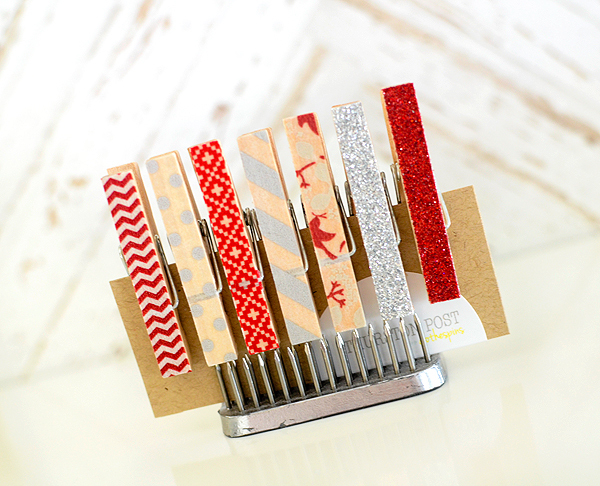 Need custom color combinations of washi clothespins for your home decor or holiday party? 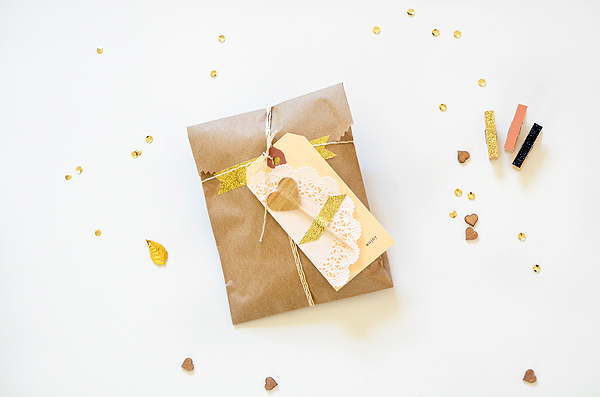 Would you like a whole gift wrap kit in your own colors and style (traditional, shiny, rustic, modern)? Let's talk!! I'm working on a custom kit request right now and my customer gave me the most elegant and rich color scheme to work with--it's beautiful and I'll be sure to share it before I send it off to her. Thanks for stopping by and don't forget about the sale! Coupon code BLOG20 for 20% off your entire purchase (excludes shipping). I'd be so grateful, too, if you helped me spread the word!